North Carolina - Serving: Daryll W. Martin provides services in all states. Educated professional can document and support the process for mortgage loan originations, and the financial impact of specific products. 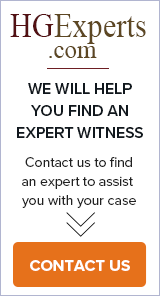 Expert Witness Services - Homeowners, Auto, Life, Disability, Long Term Care, Earthquake, Flood, Agency Operations, Best Practices, Standard of care. Exceptional deponent! Jim Leatzow has 34 years of "hands on" property/casualty experience. His experience includes 23 years as a national, Managing General Agent (MGA), 10 years negotiating and placing reinsurance and 10 years of managing/adjudicating claims on a national basis as a Third Party Administrator (TPA). Healthcare Actuarial consulting. Managed care actuarial. Healthcare finance. Risk adjustment. Predictive modeling in the healthcare arena. Medicaid financial work. Phoenix Services Managed Care Consulting, Ltd. Using a P.M.L. Holdings Group member employee leasing and PEO service company makes employee leasing a cost-effective convenience for any small business owner. Research & Planning Consultants, L.P.